Skye Gravestones | Elizabeth Fraser. 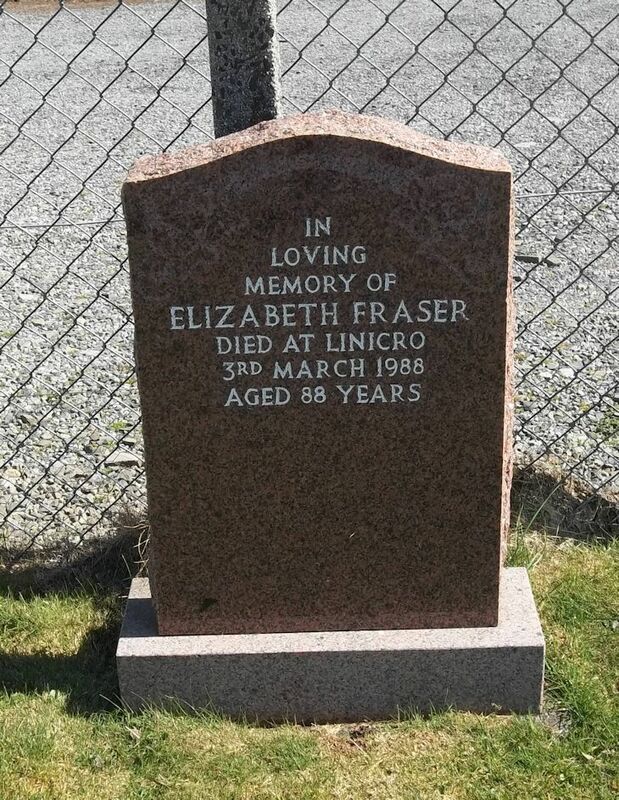 In/loving/memory of/ELIZABETH FRASER/died at Linicro/3rd March 1986/aged 88 years. Picture Added on 02 May 2018.